Beer There are 10 products. Product recovered by hand in recent years, and widely accepted in the young, they have emerged many small artisan producers, which offer different varieties and all very high quality. Top-fermented craft beer produced in Argeles-sur-Mer, Roussillon. The name given to the proximity of Cap d¡Ona in the neighboring town of BanyulsAmbrada - Obtained from several varieties of malt d¡ordi. Ben round in the mouth with a sweet bitterness.Fans of beer and structured body l¡apreciaran much.Alcohol: 6.5% vol. 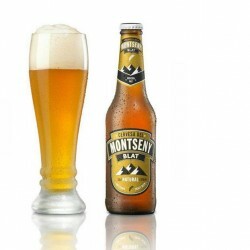 Top-fermented craft beer produced in Argeles-sur-Mer, Roussillon. The name given to the proximity of Cap d'Ona in the neighboring town of BanyulsBlonde, formed from different pale barley malt.This blonde with subtle scent of honey thousand flowers Alberes not to make new fans.Alcohol: 5.5% vol. 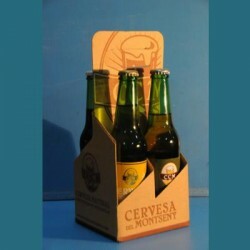 Wheat Beer (33 ml) is a light beer, refreshing and flavored with orange peel. 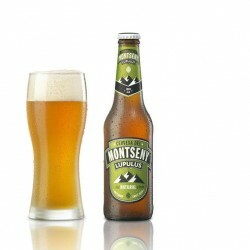 Murky and low alcohol, ideal for summer.Alcohol: 4% vol.Temperatura consumption between 4 and 10 ° C.
Beer is a lager lupulus, high fermentation adapted to the style of our country. We appreciate the intensity of hops and is ideal to spend SeptemberAlcohol: 5.4% vol.Serving temperature between 8 and 12 ° C.
Beer is a malt beer toast traditional English style. Full-bodied and intense flavor.Alcohol: 5.1% vol.Serving temperature between 8 and 15 ° C.
The Irish stout is kind, with four cereals: barley, wheat, oats and rye. 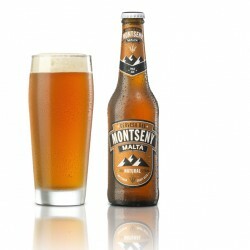 Complex, toasty flavors and nutritious.Alcohol: 5.2% volServing temperature between 8 and 15 ° C.